‘Underwater Community’ Costume Performance #WearableWednesday « Adafruit Industries – Makers, hackers, artists, designers and engineers! 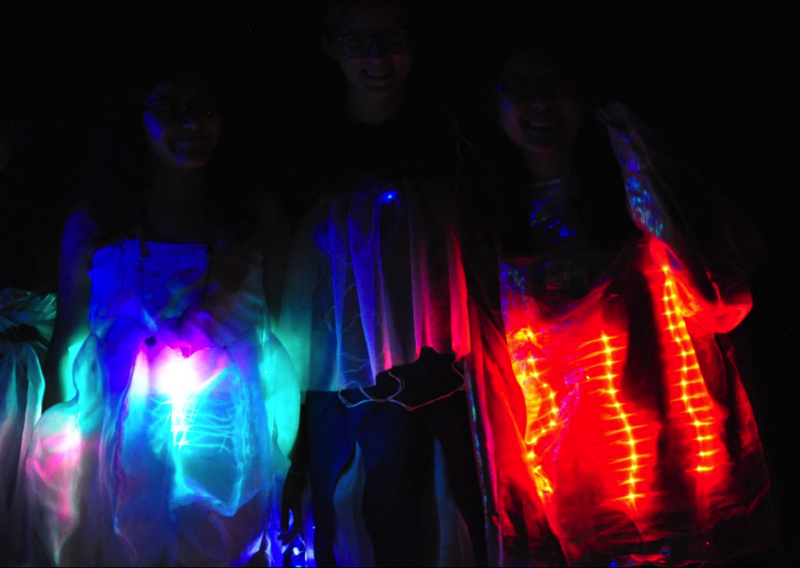 These cool costumes were made by students from Mount Holyoke College for a wearable computing course taught by Peter Klemperer. Thanks for writing in to share Peter! 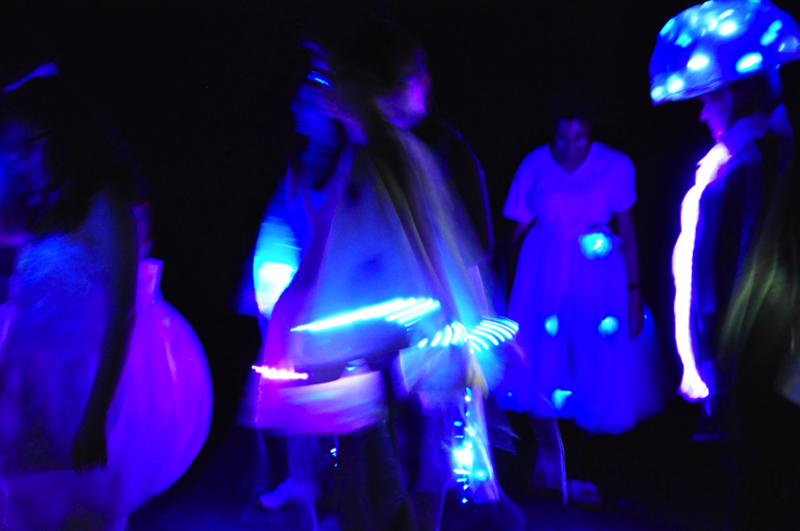 A short production called “Underwater Community” was the culmination of a semester-long project between Peter Klemperer’s iDesign Studio class in Computer Science and Elizabeth Pangburn’s Costuming II class in the Theater Department. Students from each class paired up to develop the costumes, electronics and programming collaboratively.